A new version of the popular blogging platform WordPress has just been released by its developers. WordPress 3.1 contains bug fixes, the developers speak of more than 729 closed issues, new features and several interface changes or enhancements. The update is not a security update which means that there is no rush to install it directly. 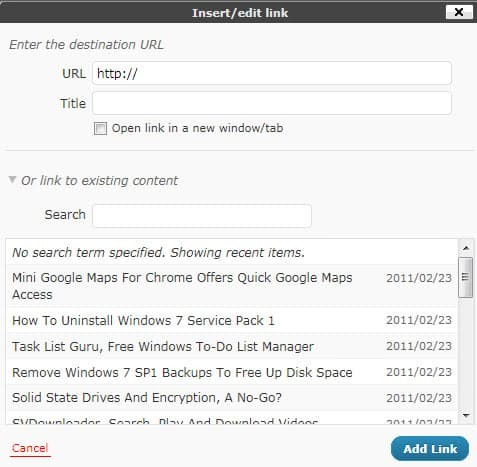 Among the new features is the option to link to existing content easier. This is done via the standard link button in the WordPress writing panel and the selection of "Or link to existing content". It is possible to search for related content or select one of the most recent items. The writing interface has been overhauled. The developers have many interface elements that were shown by default of the screen which should be beneficial to new users. All writing elements can be added again via the Screen Options at the top of the page. 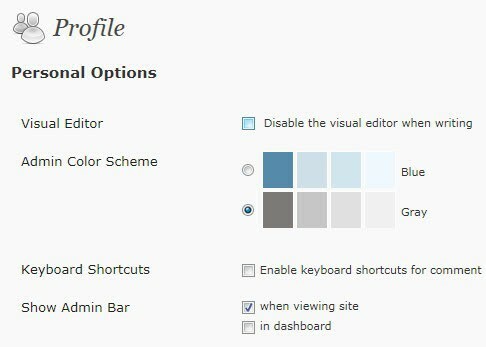 Another addition is the new admin bar that is displayed to WordPress administrators when they navigate the WordPress frontend. The bar is actually not displayed on all of my blogs right now. I'm not sure why that is the case (likely because of CSS minifying or merging) but there is thankfully a way to disable the admin bar. Open Users > Your Profile and locate Show Admin Bar near the top. Remove the checkmark from "when viewing site" to disable it. exporter / importer, was overhauled. Interested users can visit the WordPress Codec for an in depth overview of all the features that have been added, improved or changed in the recent release. WordPress administrators can upgrade their blog to WordPress 3.1 either directly from within the admin interface or by downloading WordPress 3.1 from the official website and installing the new version manually. Previous Post: « Who Really Uses Facebook & Twitter? Great …. WP 3.1 is full of feature…I have updated my blog to the latest ..Have you ? Hi, i have updated WordPress to 3.1 and i dont see Video icon , how i can add YouTube video now ? You don’t even have to use the [embed] shortcode. With just the URL in the post is sufficient. Just insert the url, remove the link, and thats it!